Shopping Habits: Do you save or splurge on Halloween leftovers (other than candy, of course)? What do you look for in a mascara? Which piece of jewelry would inspire the novelist in you? Would you buy any of the clothes from the Project Runway finalists? 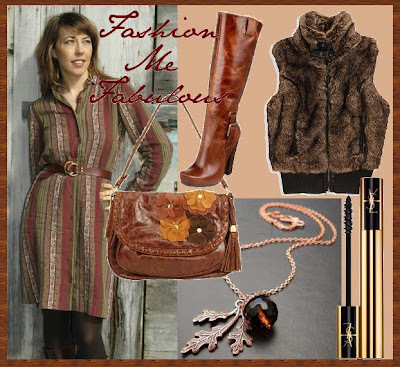 Getting Dressed: Try furry vests, brown heeled boots, fall bohemian and a nearly perfect winter boot this season. Also, check out our tips for dressing your hips. In Stores: Stop by our picks for vintage and Etsy shops this week. Also, our T.J. Maxx contest has ended and we have a winner.